When we heard the news about the Tyrannosaurus rex (T. rex) generally are reminded of a very large body size, has a fierce and ferocious face. However, the impression is quite different from the fossils of T-Rex 's relatives that found in Chile. such as the Allosaurus, the researchers said. 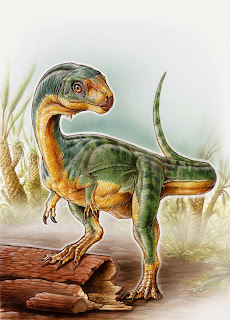 Chilesaurus diegosuarezi is the relatives of Tyrannosaurus rex alias the renowned ancient carnivorous meat eater. 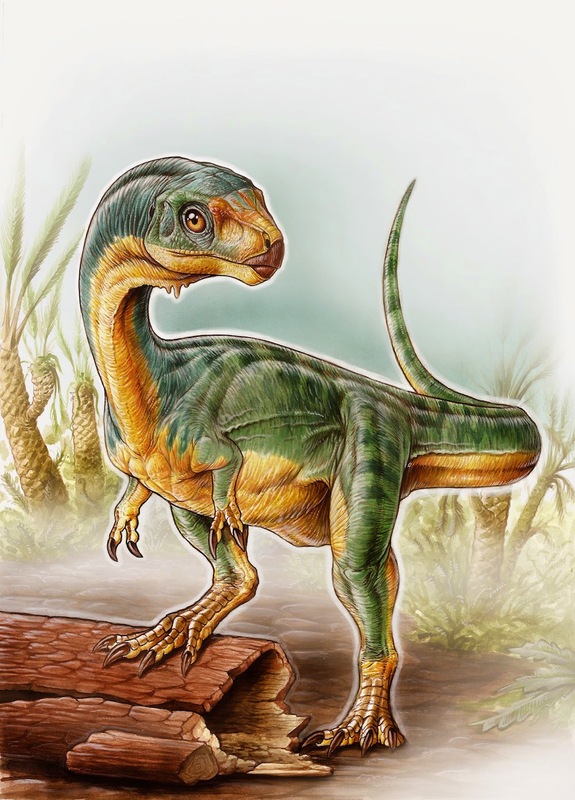 However, Chilesaurus diegosuarezi was not follow the footsteps of their relatives, and evolved into herbivores. "When I saw the shape of the bones, there seems to be different," said Fernando Novas, one of the researchers of Berbardino Rivadavia Museum of Natural Sciences in Buenos Aires, Argentina. He argues, this dinosaur seem unusual because different combinations of the three types of groups other dinosaurs. When it was in 2010, two geologists found several fossils around Chile. One is Chilesaurus diegosuarezi. Since these findings, the Chile and Argentina cooperate researching dozens of fossil Chilesaurus. Although not all parts of the dinosaur was discovered, researchers found something different. 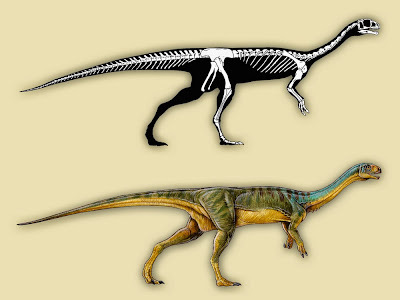 Chilesaurus had a small skull, long neck but large, and the legs are not straight. "Chilesaurus's legs is to walk, not for run," said Novas.